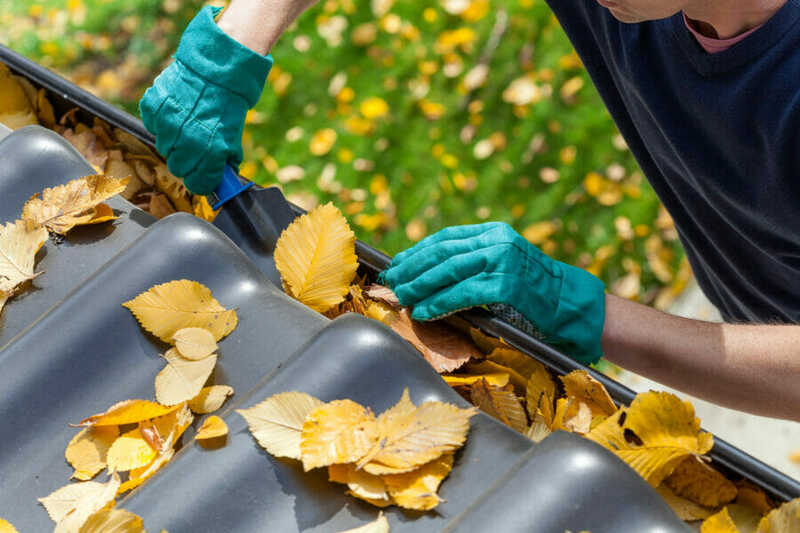 With cooler air coming, it’s time to review the items on this fall maintenance checklist so your home can continue to run efficiently and stay safe throughout the rest of the year (and beyond). Here are eight tips (broken down into manageable tasks) to help you get everything done. Check your smoke and carbon monoxide alarms and replace the batteries. Be sure you have at least one unexpired fire extinguisher (A-B-C rated) in your home. Make a fire escape plan and practice it. Fix damaged sidewalks, driveways, and steps as the dangers of tripping are compounded when walkways are covered with snow and ice. AC maintenance in the fall months is vital to keeping this expensive and heavily-used appliance running well. Vacuum out the internal parts of your air conditioner. Be sure to cover the unit with an approved tarp or plastic cover. This will prevent rusting of vital components. Remove window AC units so windows can be closed fully. Inspect your home’s exterior paint for peeling or blistering. Fix any problem areas to prevent water damage from wet weather. Does your roof have any missing or loose shingles? Your roof is the first defense in home protection, so be proactive about fixing it and preventing leaks. Clean and seal your asphalt driveway with a commercial sealer to prevent freezing, cracking, and crumbling in the upcoming months. Add a fresh layer of caulk around windows and doorframes. This goes a long way in preventing cold air from seeping in, cracks from forming, and mold from building up. Install weather stripping around windows and doors, including the garage door. Put screening over all vents that run to the outside. This will prevent pests from making nests or entering your home. Remove dead annuals and divide, move, and mulch perennials. Rake up thick layers of leaves. Mulch thin layers of leaves and add them to your flower beds. Trim dead tree branches so they don’t fall and cause harm or damage during snowstorms. Aerate the lawn and fertilize it. Clean and store your garden tools. Clean and put away your lawn mower, leaf blower, chain saw, and other power tools or yard equipment. Clean, cover, and store your outdoor furniture, plant pots, and barbecue grill. Prepare your boat, RV, camper, ATVs, and other recreational toys to be stored for the winter. Before freezing temperatures hit, do your annual water heater maintenance. Inspect and clean your humidifier’s plates or pads. Wrap any water pipes that run along exterior walls with heating tape to prevent freezing and bursting. Turn off the valves to your exterior hose bibs. Then run the pipes until they are empty. Clean and replace filters in your furnace. If you use radiators, drain the expansion tank, check the water pressure, and bleed them. Examine the door gasket of your wood stove or fireplace to be sure it has a tight seal. Maintain your chimney. Take care of problems such as flue creosote, blockages, and damaged joints. Check your attic’s insulation and add more if needed. Remember to change the direction of your ceiling fan blades so they create an upward draft that will redistribute the warm air. After the leaves have fallen, but before the snow arrives, clean out your rain gutters. Consider installing new gutters with built-in leaf guards. Store any extra furniture, clothing, home decor, or miscellaneous items in a storage unit. Climate-controlled units are available depending on your needs. This list might seem long, but by breaking each item into smaller, more manageable tasks, you’ll be able to check them off in no time. Then, you’ll be ready to enjoy the harvest of your labors as you welcome autumn back home.